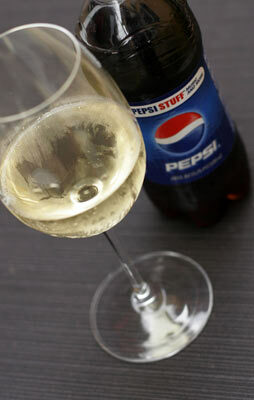 Did you know that Pepsi is more than 10 times as acidic as orange juice? Think about this for a moment, because 10 times is a lot. Yet when it comes to wine, which is typically much closer to orange juice than colas on the acid scale, the mere mention of acidity often elicits an involuntary grimace from consumers. So many times I’ve described a wine as lively, crisp, and refreshing (very positive attributes in my book) only to be met with slight frowns and resistance. This never fails to leave me-along with most other wine professionals-feeling perplexed. Try this at home: Fill a glass with water and add plain sugar. Now taste. No matter how much of a sweet tooth you have, plain sugar water is not very pleasant to drink. Next add a generous jolt of lemon juice. Taste again. Like magic, cloying sweetness is rendered refreshing by the addition of acid. Such is the alchemy of sugar/acid interplay-acid, in effect, lifts and supports sweetness and makes it “bloom” on the palate. Acidity stimulates saliva production, which is vital to our ability to taste. Acid discourages bacterial growth and thus plays a significant role in the long-term stability, or life span, of a wine. Acidity is quenching. Acidity is not the enemy. “But I don’t like wines that are too bite-y” is a refrain I’ve heard many, many times from consumers. Fair enough. Perceived acidity is a complicated matter. Now we are talking tartness. The considerable acid levels found in colas are offset by the addition of large volumes of sweetener. In wines, the fruit extract (all the flavor compounds from the grape) along with any residual sugar and alcohol (which contributes to the perception of sweetness) act as natural counters to tartness. These elements vary greatly depending upon the wine. Just how tart is too tart is very much a matter of personal preference and exposure. We humans are predisposed to like sumptuous, sweet flavors. That said, I continue to be astounded by the quantity of flabby, listless wines in the marketplace. Too many producers have apparently decided that, since there is a perception of consumer resistance to the notion of acidity, they will simply eliminate any and all evidence of it in their wines. The sad results bludgeon the palate and fail miserably at wine’s foremost function, namely to quench and refresh. I recently attended a dinner party at the home of some non-wine industry friends. They opened a bottle of Napa chardonnay with dinner. As my contribution, I brought a comparable quality Chablis (also, by definition, a chardonnay). Not surprisingly, at first sip, the Napa wine appealed with an immediate, mouth-coating softness that my wine-novice friends really liked. My own assessment was that the fruit was overripe, the oak influence was suffocatingly dominant, and there was a palate-fatiguing lack of acidity. In contrast, my friends initially thought the Chablis too thin and, yes, bite-y. Despite what you might guess, I made no wine comments during dinner. I just noticed how nicely the Chablis opened up with exposure to oxygen, that it tasted great with the fish, and that the bottle was quickly emptied while the Napa chardonnay remained half full. It would be easy to now launch into a discourse on the technical aspects of acidity, but, in the end, nothing speaks more eloquently of its value in wine than the requests I got that night for more Chablis! Now it’s your turn to assess acidity. Here are three white wines that offer succulent fruit backed by bright acidity. All are available at the Wine Cask. 2005 Barat Chablis 1er Cru “Les Fourneaux”: This is the wine from my aforementioned dinner. It’s a lovely, lemony, and flinty chardonnay. $32. 2006 Melville Chardonnay “Estate”: A locally grown chard, with pretty fruit lifted by mouthwatering acidity. $27.95. 2006 Dr. Loosen Riesling “Dr L”: This off-dry Riesling beautifully balances the elements of sweet and art like the best lemonade. $15.